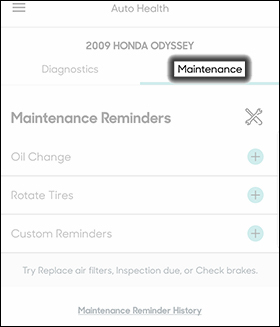 To set up and receive email or text alerts from your HumÃ system when it's time for scheduled maintenance (e.g., oil change, tire rotation, etc. 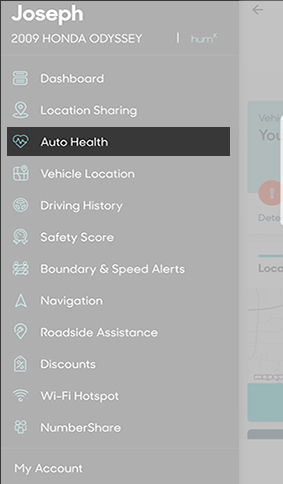 ), view this info. 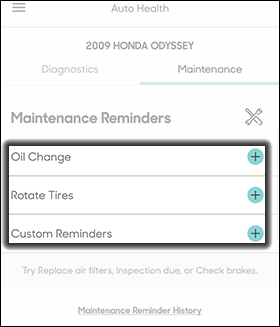 The Hum app allows you to set reminders for vehicle maintenance; these reminders can auto-populate based on manufacturer's recommendations or be manually added. 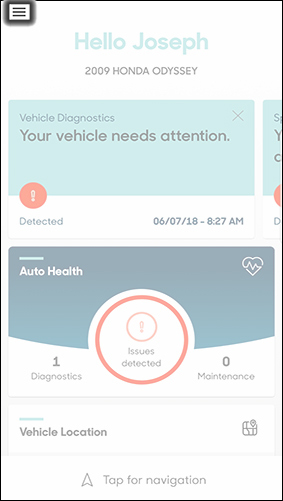 You can also see view Auto Health by clicking on the appropriate dashboard section. 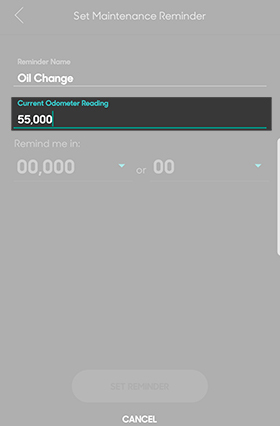 Tap Reminder name then enter a name to the reminder. 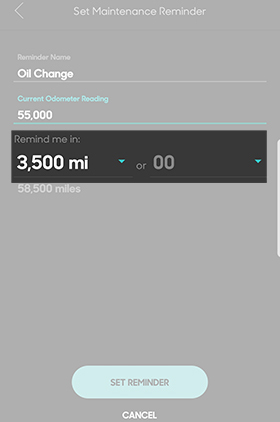 Tap Current Odometer Reading then enter the appropriate mileage. 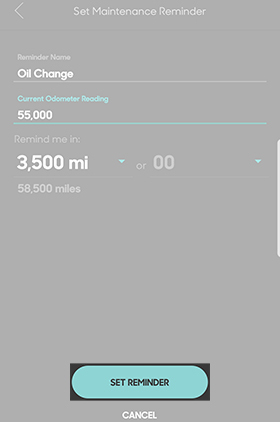 In the 'Remind me in' section, select the mileage or time period for the reminder from the appropriate drop down menu.